VANCOUVER, British Columbia, June 21, 2018 (GLOBE NEWSWIRE) -- Aben Resources Ltd. (ABN.V) (ABNAF) (E2L2.F) (the "Company") is pleased to announce it has mobilized field-crews to its 23,000-hectare Forrest Kerr Gold Project located in BC`s Golden Triangle region to begin the Company`s 2018 summer exploration and field program. Aben is planning a 5000-metre diamond drilling program in approximately 18 drill holes at Forrest Kerr. Construction of camp facilities and core shack is under way and drill pad construction will follow in the next few days. The weather has been favourable. Mobilization of the drill rig will follow when pads are ready. 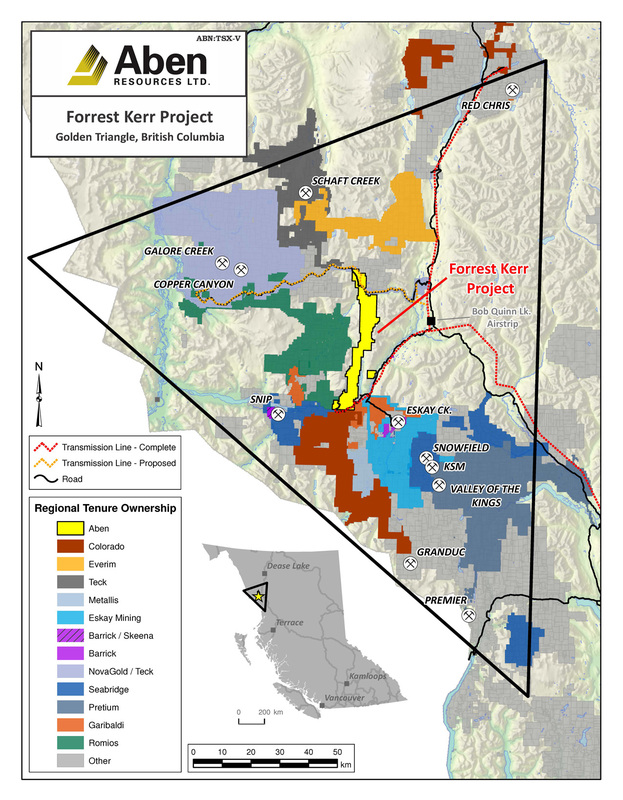 Aben President and CEO, Jim Pettit, stated: "Notable regional discoveries by Pretium, GT Gold, Garibaldi Resources and others have illustrated the significant discovery upside remaining in the district and we are confident in the potential at Forrest Kerr given the newly discovered and historic high-grade mineralization there as well as the numerous untested gold-in-soil anomalies present". Aben Resources has approx. 79.5 million shares issued and outstanding with approx. $3.1 million in its treasury.